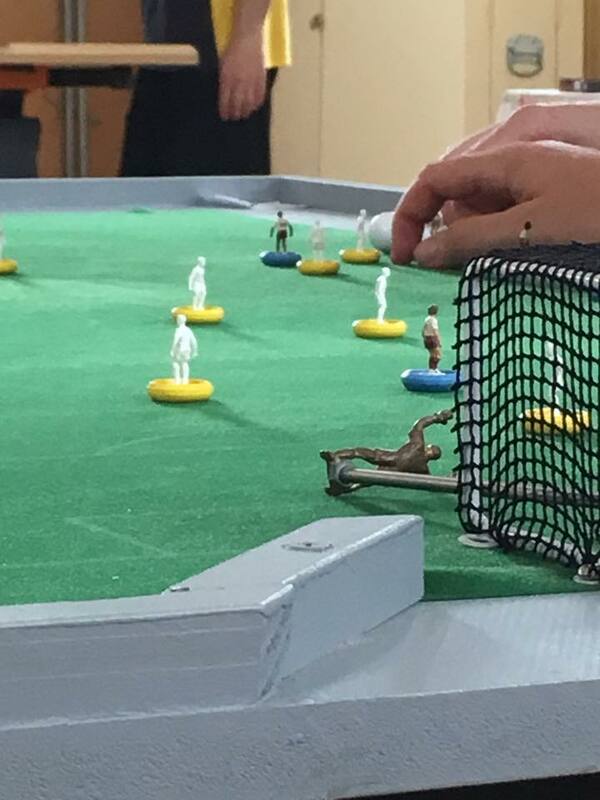 Despite a couple of the big name favourites being unable to play the fourth Melbourne Table Football Championship provided an impressive day of high quality table football. 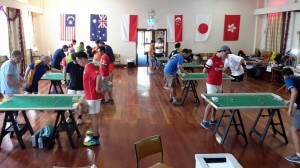 The players in this club have made extraordinary strides over the last few years in helping to re-establish table football in Australia, while at the same time becoming really tough competitors. In group 1 Benji Batten scraped home the 1-0 victor against newcomer Juan Menendez. Juan who has only being playing for a couple of months showed real class all day and clearly has the potential to be a quality player going forward. Juan went on to draw with Beth Eveleigh 0-0 and lost to Peter Thomas 0-4. Benji nearly took the roof off the building with his goal scoring shouts against Peter Thomas, but despite such heroic efforts they were not enough to stop the goals going in the back of his own net. With Beth coming unstuck against Benji 1-0, Peter finished on top in the group and Benji second. This entry was posted in News on 17/04/2016 by Peter. 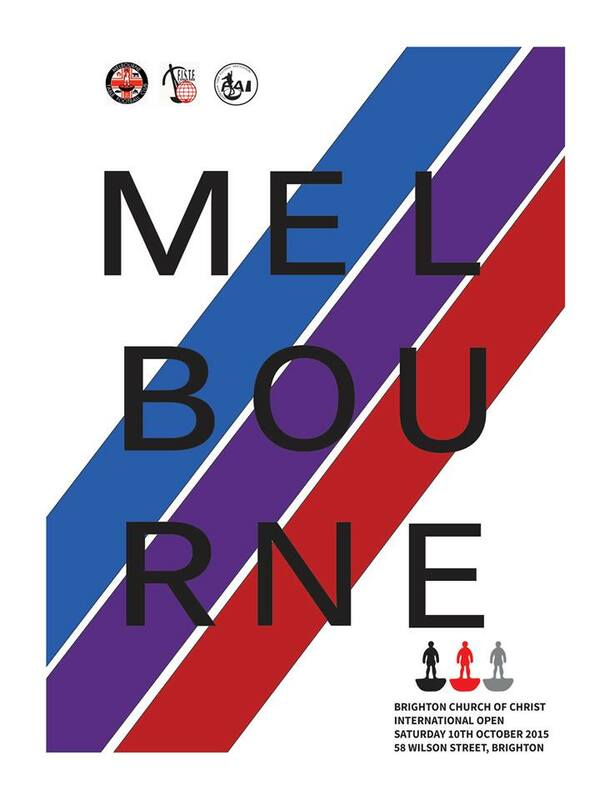 On Saturday October the 10th 2015, Melbourne Table Football Club will be hosting ATFA’s first event of the 2015-16 Table Football season with an International Open. This entry was posted in News, Upcoming tournaments on 03/05/2015 by Peter. The FISTF Sports Department have written to each national association to clarify a number of rules. Please read through these rules and check they are in-line with how you are playing. Please get in touch if you are unsure. Every touch of the ball by the goalkeeper (including a save) or by the spare-goalkeeper adds up to the maximum three flicks the goalkeeper is allowed to take. 1. If the goalkeeper has already touched the ball one time, the attacker may flick his spare-goalkeeper at the ball only two more times. 2. If the goalkeeper has already touched the ball three times in a row, the attacker may not use his spare-goalkeeper, unless he touches the ball with another playing figure. 3. If the goalkeeper touches the ball more than once when making a save, a single touch shall be counted. Explanation: The rule says that every touch of the ball by the goalkeeper on rod always counts as an attacking flick. This entry was posted in News on 18/03/2015 by Peter. 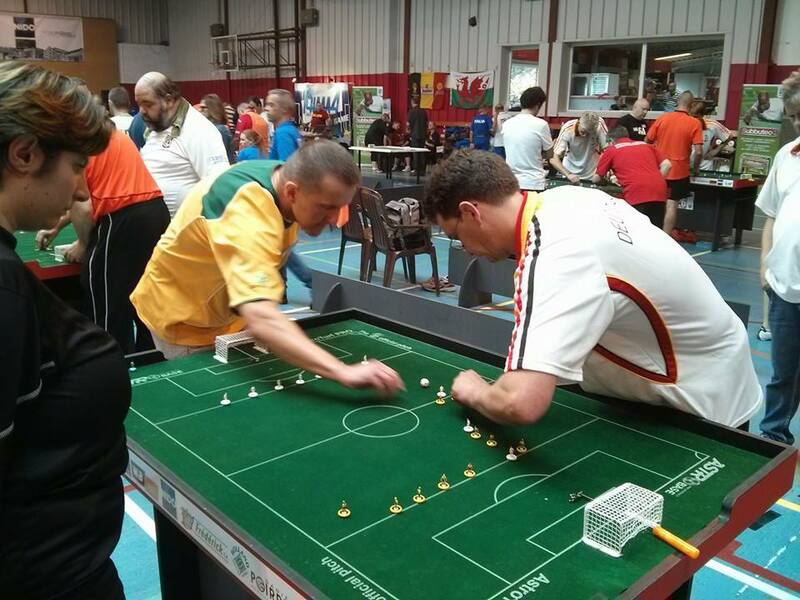 24 Players took to the tables for the biggest event to date under the newly established Australian Table Football Association. Players came from 3 nations and 7 clubs to compete for the title of the best player in Asia. A further 4 U12 players competed in the first ever U12 event in Australia. In Group A, number one seed John Ho took maximum points from his group games with Steve Dettre joining him in the knockout rounds after both players defeated Daniel Lombardi from Parramatta and Paul Mercer from Northern Falcons. The group was not as clear cut as it seemed though as Paul Mercer took a two goal lead against Steve Dettre in their final group match, unfortunately for Paul, Steve scored three unanswered goals to eliminate Paul from the competition. If there are even groups of death in table football, then Group B was an absolute group of life with Gilli Inbar, Harry Wightman and Tom Nowacki- three young and emerging players drawn together in a group with Hong Kong’s Antonio Carabillo. Antonio had no difficulties in his three games meaning the round robin between Harry, Gilli and Tom would make for interesting matches. Harry started strongly with a 3-0 victory over Gilli and backed it up with a 1-1 draw with Tom Nowacki which proved to be enough to send him through to the barrage round. Probably the most interesting match of the group (and the whole tournament in my opinion) was when Gilli faced Tom. Both players had never scored in a fistf tournament and it looked like it would stay that way as the scores remained 0-0 with time drawing to a close. However with the last flick of the game, Gilli found the back of the net and the celebration that followed was one to be remembered- one of pure joy and excitement. Singapore’s Vikas Chandiramani found his way out of Group C on goal difference after he draw with Raffaele Lombardi. Both players were able to defeat Dillon Izon but both succumbed to a loss at the hands of seeded player Peter Thomas. Dillon may have not got the results but he way certainly competitive as he put goals past Raffaele and Peter Thomas- a feat which few players achieved over the weekend. This entry was posted in News on 20/01/2015 by Peter. 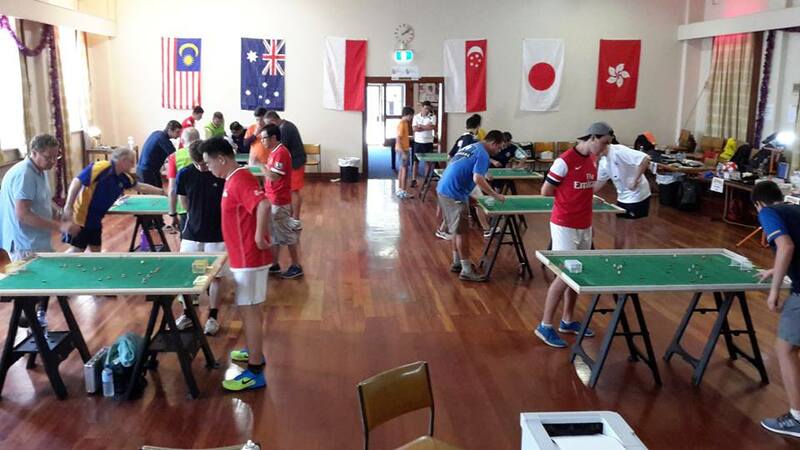 The Melbourne Table Football Club invites you to the first FISTF International Grand Prix of Australia (the Asian Cup of Table Football) which will take place in Melbourne on 17 and 18 January 2015. This will be the largest FISTF table football event to be held in Australia and will feature players from throughout Australia as well as Asia and beyond. 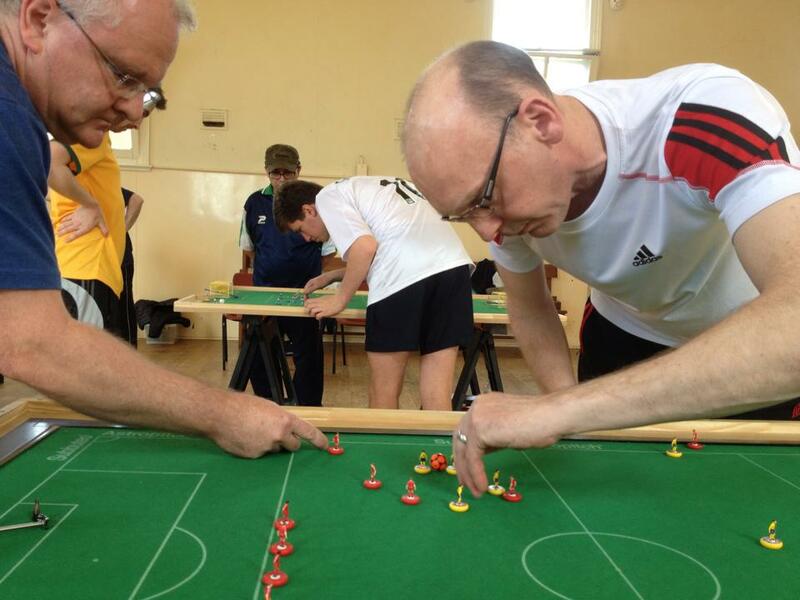 Experienced and new players are welcome to enter what is set to be a great weekend of table football action. The tournament will consist of an individual event on the 17 January, and a club team event on the 18 January. In addition to this there will be a national team matches on the 18 January. This entry was posted in News, Upcoming tournaments on 26/10/2014 by Peter. Eliot Kennedy takes on Carl Young in the Semi Final. Carl wins the match on shots. This entry was posted in News, Tournament reports on 11/10/2014 by Peter. 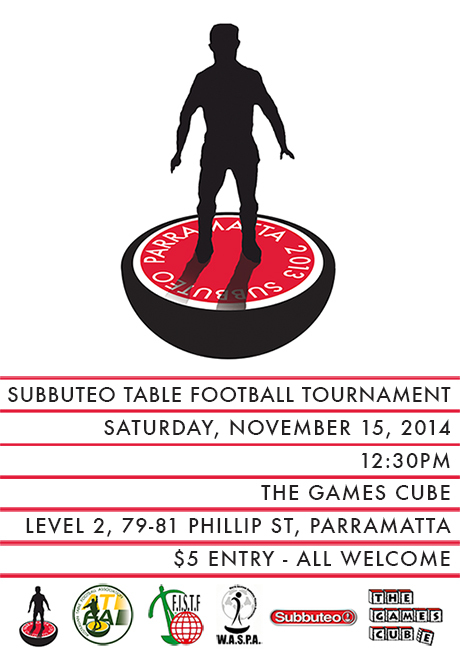 Subbuteo Parramatta is pleased to announce that we will be running a tournament on Saturday, November 15, 2014. The tournament will be a FISTF Challenger tournament as well as a WASPA recognised tournament, meaning that all players will earn ranking points for both organisations. We will be playing in the premises of The Games Cube (Level 2, 79-81 Phillip St, Parramatta) with the first round of games starting at 12:30. This entry was posted in News, Upcoming tournaments and tagged challenger, fistf, Parramatta, subbuteo parramatta, Sydney, tournament, waspa on 05/10/2014 by Peter. There are a number of significant changes to the playing rules for the 2014/15 season. These changes have been made by FISTF and are now in force and are to be used in all FISTF sanctioned tournaments. To find out how the new rules will work in practice a presentation is available explaining the new rules in simple terms, along with example diagrams has been provided by FISTF. This entry was posted in News on 13/09/2014 by Peter. Robert Green V Thomas Vulpes at the FISTF world cup. This entry was posted in News, Tournament reports and tagged fistf, peter thomas, robert green, world cup on 09/09/2014 by Peter. This entry was posted in Player Profiles on 03/08/2014 by Peter.